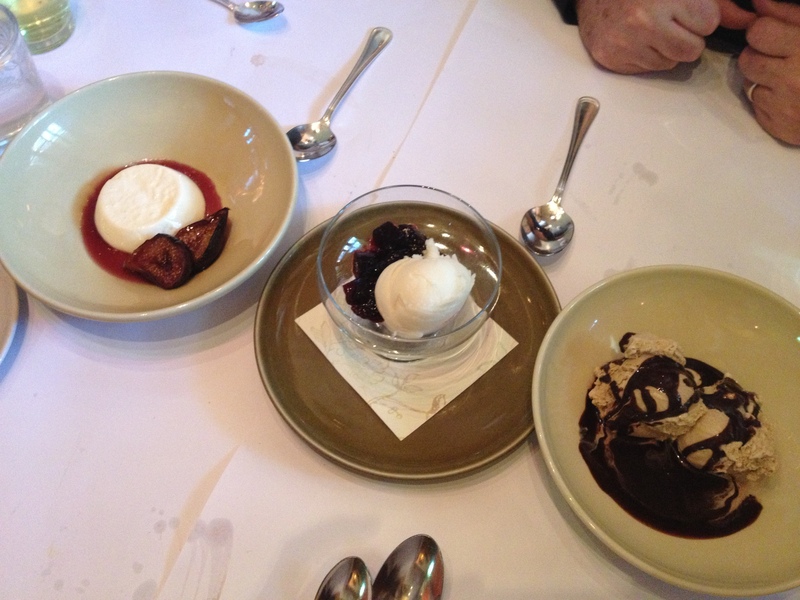 The dessert at Chez Panisse, like the rest of the meal, is a perfect showing of seasonality and the fact that food should taste like what it is; Strawberries like strawberries, yogurt like yogurt, and, of course, chocolate like chocolate. There is nothing faked or mashed up here. I can’t remember the details of each dessert, but they were all fantastic. Lucky for me, each of the desserts we chose could be made gluten free by simply removing the cookie. As you all can tell by this blog.. 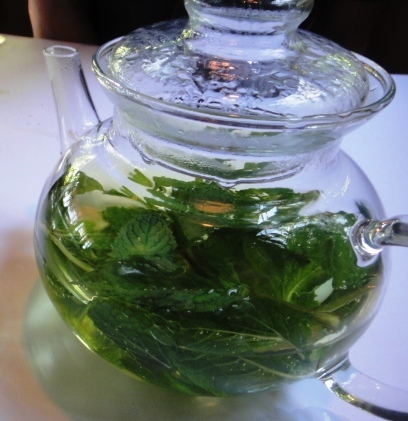 I like dessert.. but at Chez Panisse, my favorite part of dessert is actually the fresh mint tea. It is simply done by steeping fresh mint leaves in hot water. There’s nothing simpler and nothing better. 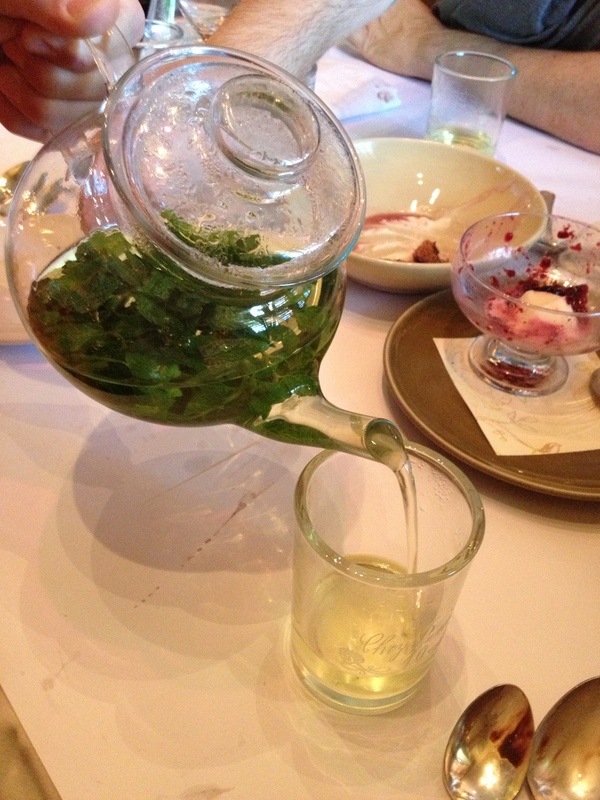 I ordered Fresh Mint Tea at Chez Panisse in Berkely, CA….and look at the awesome tea pot they used! You can find one for your home at Bed Bath and Beyond.